Tracey Lockwood is a beloved spiritual counselor, life coach, professional reader, and popular instructor of psychic mediumship. She sees, hears, feels, and knows. She is also a gifted energy worker, speaking and singing in languages of light to assist you in your healing process. Her sessions are both personal and profound, whether serving as a teacher or reader. Many clients use her regularly for life advice and matters of the heart. *** Please note that Tracey reads for the majority of her US-based and International clients by PHONE. International clients are called via Zoom. Tracey's accuracy is not dependent on your being physically present. She connects easily with your energy and accurately reads both your energy field and that of those loved ones around you (living or crossed over). TRACEY'S STUDENTS (by phone) $155/hour+ session if you are or have been a student of Tracey's, you are eligible for this discount. MILITARY & PUBLIC SERVICE (by phone) $155/hour+ session if you have served your country in any branch of the Military (Army, Navy, Air force, Marines, Coast Guard) and Public Service (Police, Fire, EMT) you are eligible for this discount. Readings by Phone. If your income falls beneath a specific margin. This must be determined in a direct conversation with Tracey. Discounted rates are offered at the sole discretion of Tracey Lockwood. ALL sessions are one hour+ by phone. VIDEO CHAT OR AUDIO RECORDED (by live Zoom video) $333/session if you'd like your session to be via Zoom video. IN-OFFICE / IN-PERSON SESSIONS Due to her schedule, it is rare for Tracey to be able to offer an in-office or in-person session. Wait times may be longer, and there are no discounts available. The fixed rate for in-office or in-person sessions is $444/session. Please do not prepay for an in-office or in-person reading until you have spoken directly with Tracey. ***PLEASE NOTE: IT IS YOUR RESPONSIBILITY TO CONTACT TRACEY AND TO SCHEDULE OR RESCHEDULE YOUR SESSION WITH HER. To do so, please call or TEXT her directly on her Biz Cell at 540.998.9789 or email her at makeawonderfulday@gmail.com. 3. LISTEN TO THE VIDEO called "How to Get a Better Reading"
4. ORGANIZE YOUR QUESTIONS make a list of questions. They may regard the past, present situations, specific things about the future, people in your life, living or crossed over, your spiritual gifts, past lives, etc. AUDIO RECORDINGS and LIVE VIDEO SESSIONS are available for an upcharge. All private-session clients that opt for a Zoom Video reading will receive a copy of their reading via email within 24 hours following their session with Tracey. PLEASE NOTE: Your payment is considered a contract for my service(s) and time. All payments are NON-REFUNDABLE. If you are unable to keep our appointment, I require 24-hour notice. With 24 hour notice you may reschedule or gift your session. It is rarely necessary, but I reserve the right to reschedule you to a different time if necessary at my end. I will give you as much notice as possible and confirm with you the new time, should this be the case. "I was born a natural Medium... my very first memory was of seeing the faces of those spirit while in my crib... I have always know, seen, felt, heard and began in the 1980's channeling the diverse messages of spirit as well as demonstrating the gift of healing in a Pentecostal church in Odessa, Texas. In 2010, I was fortunate to attend Arthur Findlay College of Psychic Science, the premier college of Mediumship worldwide. I came back to the States inspired and began teaching Psychic Development and offering Psychic Readings. It is my greatest joy to connect to the unseen and bring messages of comfort and insight to my clients. I look forward to the chance to do a psychic or mediumship reading or Languages of Light Healing Energy Session for you." 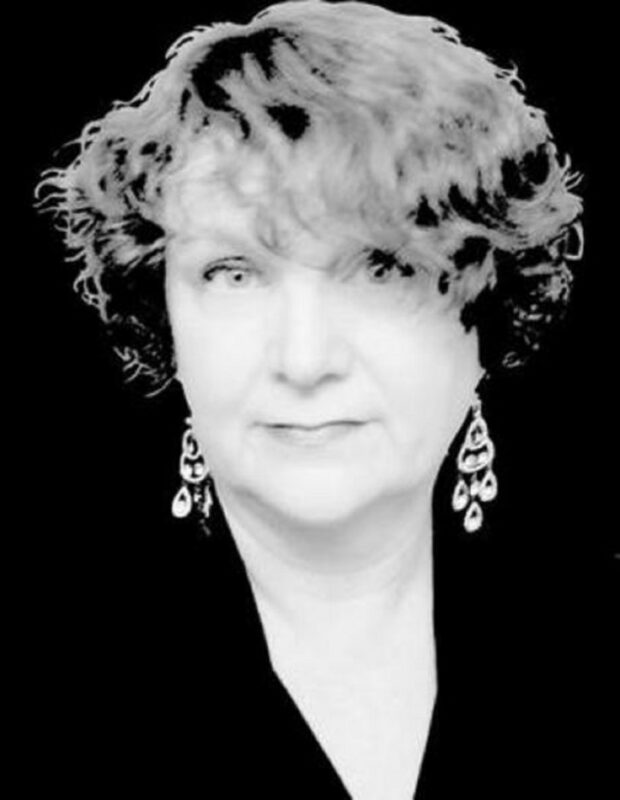 Known as "The Medium's Medium" Tracey Lockwood is recognized not only for her natural rapport with other mediums, but for her extraordinary teaching skills, and the life-changing quality of her psychic mediumship readings. In 2016, Tracey was accepted into Bob Olsen's highly prestigious "Best Psychic Directory" for her ethical & professional standards of conduct and level of practice. She is the Founder and Executive Minster for The Universal Mind: Center for Holistic Living. She no longer offers public demonstrations or public readings, as she has chosen to focus her energies on reading for private clients, and in sharing her wisdom with her psychic mediumship development students. She is available for private tutoring bundles, three levels of private mediumship development training, 4-week channeling series (group or private) , group workshops, public speaking and offers a comprehensive, intensive 12-week professional psychic mediumship certification program (The PPMCP) offered in group twice a year or privately mentored) for the serious student, via live webinar classroom for a limited number of students. She also offers private coaching to developed mediums (Raise the Standard). LINK to BEST PSYCHIC DIRECTORY site where you can Read & Write Reviews of Psychics & Mediums! Mediumship and Psychic Readings are part of my religion of Divine, Empirical, and Revisionary Metaphysics. By purchasing a session you thereby agree to do so freely and of your own volition. Purchasing a session creates an implied contract between you and Green Lynx LLC. Unless I am unable to perform your reading, class or workshop. I reserve to reschedule your session under extraordinary circumstances beyond my control and i will do so as soon as practicable. My Languages of Light Healing Energy Sessions are designed to enhance your natural flow of energy and your body's innate ability to heal itself. The principles of energy healing have been in place since the dawn of time, inherent in the fabric of the time/space continuum and it is our ability, as spiritual beings, to access a higher benevolent consciousness and use that higher frequency to shift the state of our mind, emotions, and physicality. I do not claim to be able to be able to heal you, nor are my services are a substitute for the medical advice and/or the care of a licensed and qualified licensed practitioner. I do not diagnose or prescribe. I will offer my impressions and the inspiration I receive as we work together t create a vibrational shift that should be noticeable at all levels of your being. NO REFUNDS will be issued under any circumstance as payment indicates a contract for my services and time. If there is an unavoidable circumstance that prevents you from attending your session at the initially scheduled time, please let me know as soon as possible. It is your responsibility to contact me to reschedule. I will determine the specific length of reading according to the inspiration and guidance I receive from Spirit. Delays in scheduling are generally not a problem, however a wait of 3 days to 3 weeks for the first available appointment may occur, depending on the density of my other bookings. I will schedule you as quickly as I am able.